Are You Feeling AT&T's 100 Day Plan to Fix Their Network? Another iPhone, another round of AT&T promising it'll be better this time. Honest! In fact, in December they started a 100-day plan to " to dramatically improve the company's network in densely-populated cities." Are you feeling it yet? That was a rhetorical question. 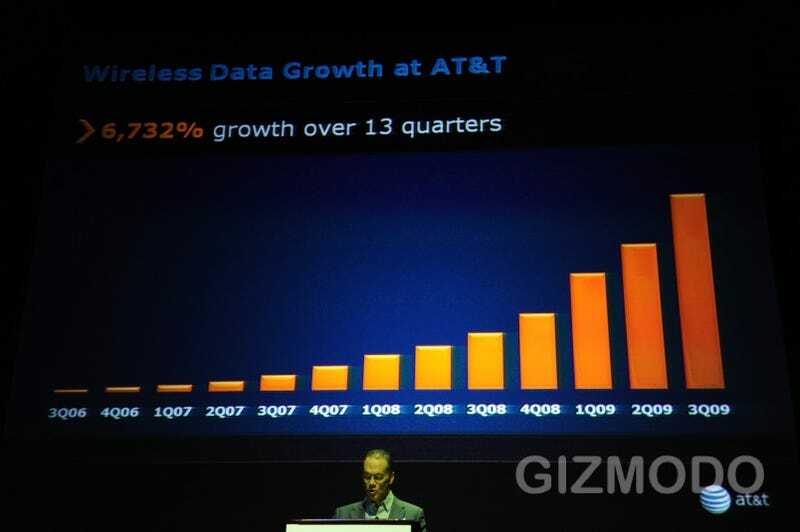 But since December, AT&T's supposedly added new spectrum (a familiar line), pointed antennas upward to make reception better in offices, and more interestingly, rewired towers with faster connections, increasing the amount of backhaul, or how much bandwidth a tower has to dispense to all the iPhone users playing with the ChatRoulette app. Truthfully, the network should get better during the summer, since, interestingly, that's when AT&T actually does its most major upgrades, scheduling around when students are in college in huge metro areas (like NY). Conveniently, that's right around the time every year a new wave of iPhones arrive to pound the network, and this year's rumored iPhone HDs running around with front-facing cameras for video chat could be a doozy.